So, farewell then, Dave Barrett. A month after the remarkable NDP leader passed away, it was time for the public to bid adieu, formally and informally. The official state memorial in Victoria came first, followed the next day by what was more a gathering of the clans at Vancouver’s Croatian Cultural Centre, not that far from where Dave Barrett grew up on the city’s rough-and-tumble east side. Both events were packed, befitting the immeasurable contribution he made to the province of British Columbia during his short 39 months as its first socialist premier. (Unlike today’s New Democrats, he never shied from using the term “socialist”.) Beyond his political legacy, there was an outpouring of real affection for someone who had such a long career, was generous with his time and compassion and never ceased battling for folks on the bottom rung of life’s ladder. Not surprisingly, each of the memorials was pretty much an NDP house. 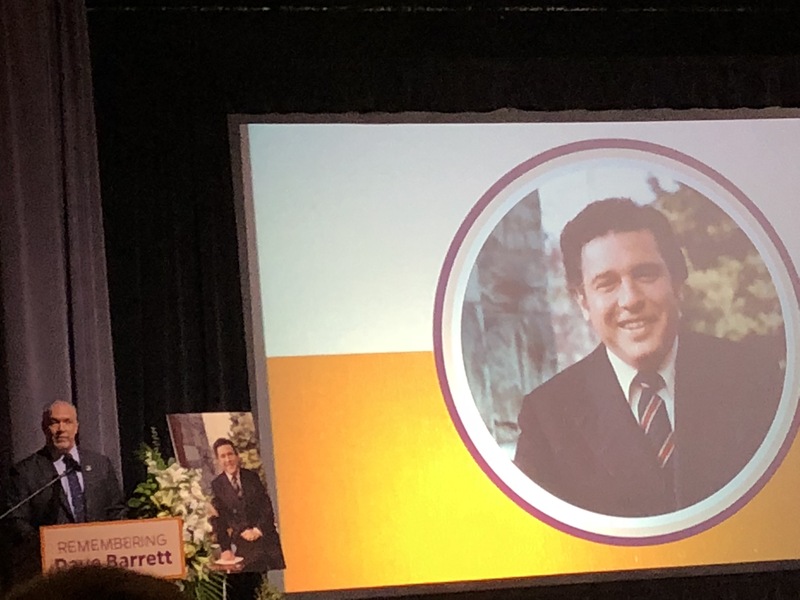 As Premier John Horgan observed, they were the sort of crowds where fund-raising buckets would have been passed around at the end, to be stuffed with coins and bills from those fired up by Barrett’s uplifting, passionate oratory. I missed Victoria, but did take in Vancouver, inwardly groaning at the long list of speakers despite assurances they would stick to their five-minute time limits. “New Democrats can’t say hello in under five minutes,” quipped John Horgan. 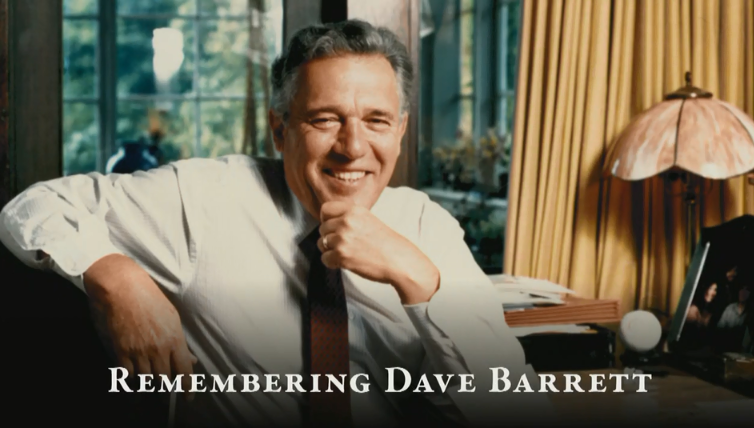 But by and large they did, and the afternoon went by quickly, a warm, loving fitting tribute to what Dave Barrett meant to this province, and to the NDP. I was glad that some recalled and rued Barrett’s defeat in his bid for federal leadership of the NDP in 1989. He lost on the fourth ballot to well-meaning but lack-lustre Audrey McLaughlin, in large measure because of a belief by eastern party members that the NDP had to elect a leader who spoke French in order to have any chance in Quebec. McLaughlin was bilingual. Barrett’s warning about the pending threat of western alienation was ignored. Under McLaughlin, the NDP was virtually wiped off the face of the map in the next election, a shellacking that almost certainly would not have happened with Barrett at the helm, one of the best campaigners the NDP ever had. (Barrett’s heads-up over western alienation turned out to be prescient, since the rise of the Reform Party was a major factor in the NDP’s poor showing, while the party went nowhere in Quebec. ) Horgan was one of those expressing regret at the party’s leadership choice. “Just think what would have happened if Dave Barrett had become leader of the federal party,” he exclaimed. Added Joy MacPhail, who was in the forefront of Barrett’s bid: “…the way he would have stormed the federal stage…I think to this day that he would have made the best leader.” The Ottawa press corps would have lapped up his humour and no-holds-barred, colourful presence. Somewhat to my surprise, the best summation of what Dave Barrett bequeathed to the province was delivered by BC’s forgotten premier, Dan Miller, who filled in as interim leader between Glen Clark and Ujjal Dosanjh. Miller moved from his job in Prince Rupert’s Cellulose pulp mill to work as Highway Minister Graham Lea’s executive assistant in Victoria. Dave Barrett (1930-2018). We will never see his like again. Watching the joyous, almost giddy swearing-in of the province’s new premier and his gender-balanced cabinet, I couldn’t help thinking of BC’s very first transition of power to the NDP, so long ago the Vancouver Sun had two full-time labour reporters. 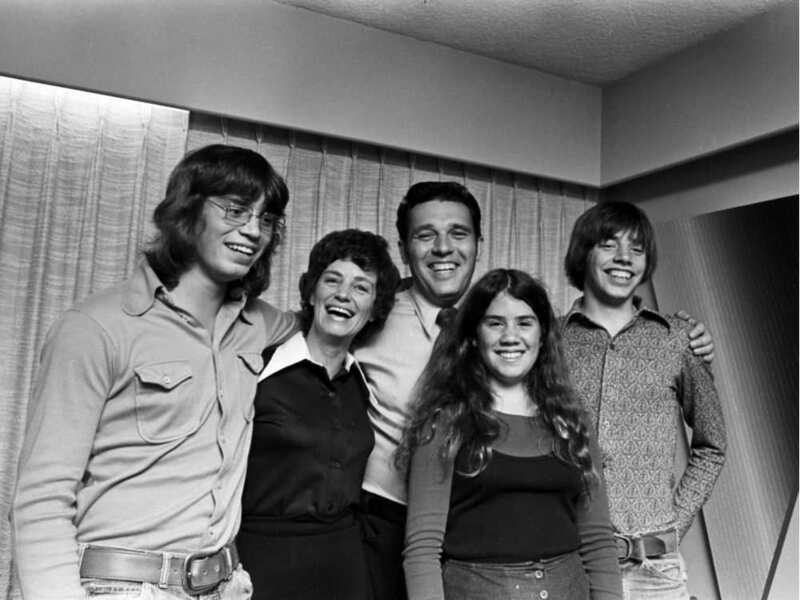 That historic ground-breaker took place way back in 1972, or five years before David Eby, the province’s new Attorney General, was born. July 18 was only the third such right-to-left tilt in BC history. Of course, that’s three more than the zero Stanley Cups won by the hapless Canucks, and just enough to keep politics interesting and a semblance of two-party democracy alive in BC’s polarized environment. No wonder John Horgan couldn’t keep that big goofy grin off his face. But the circumstances could not have been more different than the first official visit to Government House by an NDP premier-in-waiting. No live TV, no tweets, no hoopla from First Nations dancers. Very little buzz at all. Yet it was a pivotal moment for the province, never to be the same again. So, for David Eby and “all you kids out there”, return with us now to that thrilling day of yesteryear, when NDP leader Dave Barrett succeeded the indomitable W.A.C. Bennett as premier of British Columbia. Given the NDP’s string of 12 consecutive, electoral defeats, going back to the formation of its CCF predecessor in 1933, it was a day many thought they would never see in their lifetime. Against all expectations, however, the party’s 13th campaign proved lucky beyond imagining. On August 30, 1972, Bennett’s 20-year grip on power came to a decisive end. The NDP won a stunning, landslide victory that few, beyond Barrett and a few canny observers, saw coming. The hysteria, bedlam and sheer outpouring of joy at party headquarters that night was off the charts. The “socialist hordes” were inside the gates at last. Yet such was the strange, almost surreal, nature of the times, like Monty Python’s depiction of the dull life of Ralph Mellish, suddenly, nothing happened. Barrett had no idea when he would actually get to be premier. The shattered, 72-year old Bennett said nothing about how and when the transfer of power from Social Credit would take place. An eerie, political silence descended on Victoria. Unsure of protocol, for much of the next two weeks, Barrett sat at home in Coquitlam, twiddling his thumbs, waiting for a summons to Government House. Finally, on the morning of Sept. 15, Bennett officially resigned, and the long-anticipated, formal phone call from Deputy Provincial Secretary Lawrie Wallace came through. The boyish, joke-cracking, 41-year old social worker, son of an East Vancouver fruit peddler, would be sworn in that afternoon as premier of British Columbia, the first Jew and the first socialist to hold the province’s top elected position. Still, given the absurdly short notice, Barrett had to hurry. He scrambled his wife and kids into the family Volvo and headed off to Tsawwassen for the ferry to Swartz Bay. The premier-to-be’s vehicle took its place in line with everyone else. Once on the other side, Barrett realized he didn’t know exactly where to go. Fishing a dime from his pocket, he used a pay phone at the ferry terminal to call Government House for precise directions. “I think he reached the gardener,” Shirley Barrett laughed later. Barrett parked the car in the visitors’ parking lot, and the family sauntered happily up the driveway. Barrett’s tie flapped casually in the breeze, his teenaged sons grudgingly wearing jackets, but tieless. 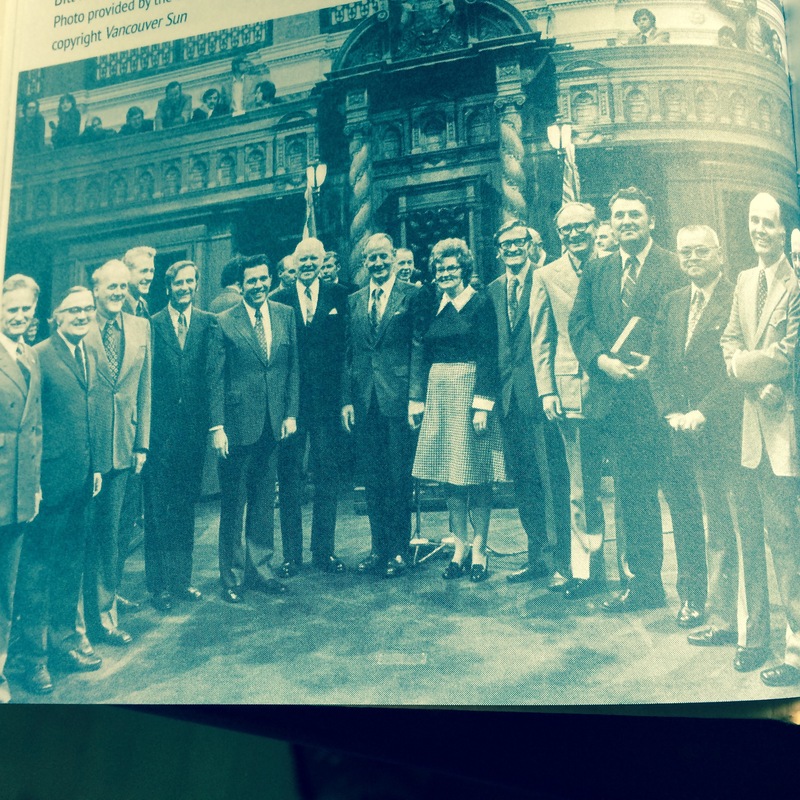 An hour later at the legislature, the province’s first socialist cabinet was sworn in. Fotheringham watched Barrett, closely. He wrote: “[He] wore a continuing grin of simple pleasure. It was not a smug, greedy look. Just a boyish failure to subdue his true feelings.” It was if he knew already his government would fundamentally change the province. There would be no hesitation, no turning back. Four and a half decades later, it was the turn of another NDP leader to take the oath of office. This was a far more public, more high-spirited swearing-in than the low-key ceremony that ushered Dave Barrett into office. The ornate room at Government House was packed, befitting a date for the transition set well in advance, rather than by the back-of-the-envelope whim of Wacky Bennett. TV networks carried the ceremony live. First Nations dancers were front and centre. All 40 NDP MLA’s were there, brought to the august residence in a rented bus. “That’s the way I roll,” said Horgan. The atmosphere could not have been more happy and relaxed. Lieutenant-Governor Judith Guichon, who made the critical, pressure-packed decision to reject Christy Clark’s request for an election and call on the NDP to give government a whirl, got into the spirit of things. After Horgan, while taking the first oath of office, awkwardly stopped at “I’, without repeating his full name, she quipped “He’s a quick learner”, when he got the second and third oath right. Her Majesty’s Representative also gave Agriculture Minister Lana Popham an affectionate hug, after Popham inked her name in the ceremonial book. It was that kind of affair. Now comes the hard part, of course. Governing is never easy, especially when so many are out to get you. But Horgan has wisely copied one of the positive pages from the Barrett playbook: bring in simple and popular measures that help those who need it most right off the bat. Besides quickly increasing the minimum wage and welfare rates, the Barrett government enacted as its first order of business a guaranteed “mincome” of $200 a month for the province’s senior citizens. The first program of its kind in North America, it remained the most cherished of all the far-reaching moves by the NDP over the next 39 months. 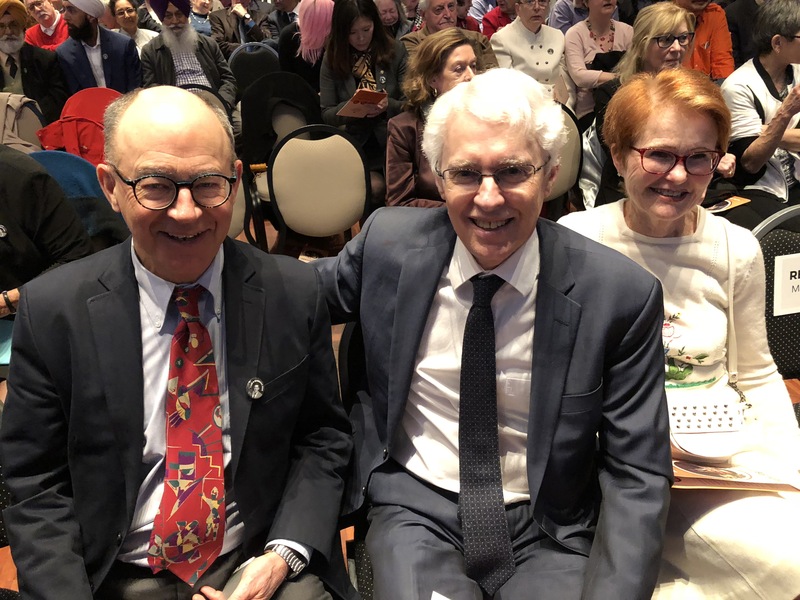 Mincome, said Social Services Minister Norm Levi, represents “the unfinished work of the socialist movement in its concern for people of all ages”. On his third day in office, Horgan hiked disability assistance and welfare rates by $100 a month, the first welfare increase in more than 10 years. It was a good start. Now it was our turn for the Bernie Sanders Socialist Revival Hour. The rally in Vancouver showcased just how much the Sanders campaign and its captivating slogan “A Future to Believe In” remains full of vigour. A pleasant but otherwise nondescript, mid-sized city just across the Columbia River from Oregon, founded by the Hudson’s Bay Company, Vancouver is hardly a hotbed of political activism. Yet people began lining up at the crack of dawn for Sanders’ early afternoon appearance. “There are a lot of people here I never thought would show up for a political rally,” one soaked, early arriver told a reporter. Indeed, that has been a feature of the Sanders campaign from the beginning. Many of those flocking to his side are first-timers from well outside the traditional political spectrum. Millennials, in particular, were everywhere in the sea of Gortex and hoodies that stretched in all directions outside the school. “Maybe we can start a revolution,” said the young nursing student ahead of us in the rain-lashed line. As the primaries pile up and the convention nears, Sanders has not watered down his radical rhetoric and progressive policies one bit. There is no move to the mushy centre in search of undecided voters. His targets remain the billionaires, Wall Street speculators, multi-national drug companies, the corporate media “who talk about everything except the most important issues facing the American people”, “militarized” police forces… The list is lengthy. His platform is pitched at the young and the powerless, low-wage earners struggling to make a living in a land, said Sanders, where corporations pack up and move, if they can make even a few dollars more somewhere else. The “real change” the United States needs is unlikely to come from “Secretary Clinton”, he asserted bluntly, with her millions in campaign donations from Wall Street and trusts that include the fossil fuel industry and big pharmaceutical companies. He laid it all out in a direct, forceful 45-minute speech, short on humour and niceties, long on all the ills of American society and, in the words of Lenin, “What Is To Be Done.” Wild applause greeted every point he hammered home. Despite the USA’s deep-seated history of red-baiting and anti-communism, Sanders is thriving with a socialist message that hasn’t changed all that much in the 40 years he’s been preaching it, a perennial lone wolf from the left. Yet suddenly, out of nowhere, people are listening and lapping it up. He has tapped into a lot of the working-class anger that has also helped propel Donald Trump to his current, scary prominence. The difference is that Trump’s poisonous brand is exclusive, while Sanders’ message is resolutely positive and inclusive. He wants a fair deal for everyone. Progressive promises piled up throughout his speech. a tax on “Wall Street speculation”. an end to “corporate tax loopholes”. an end to the War on Drugs (deafening whoops). fixing a “rigged economy” that has the top one-tenth of one percent owning “almost as much wealth as the bottom 90 per cent”. Sanders has already forced an increasingly worried Hillary Clinton to tack leftward on a number of issues, and he is showing signs of cutting into her strong support among Afro-Americans. According to the latest Bloomberg poll, “feeling the Bern” has totally erased Clinton’s once enormous lead in popular support, and the two are in a dead heat. The remarkable journey launched by that old leftie codger has a ways to go yet. Forty years ago this month, all these things really happened. The premier of British Columbia waited for the provincial election results with his wife and kids in a nondescript Coquitlam motel room behind closed drapes, the windows covered over by aluminum foil to discourage possible snipers. Plainclothes members of the RCMP prowled the corridors, making sure no one approached the premier’s room to try and make good on several anonymous death threats Barrett had received. It was a fitting end to the nastiest, most laced-with-hysteria election campaign in B.C.’s long polarized history. The man under police guard was Dave Barrett. For the past 39 months he had led the province’s first NDP government, transforming British Columbia from the iron-fisted, arcane administration of W.A.C. Bennett into a more modern era with a raft of unprecedented, progressive legislation. Now, it was up to the voters to decide if the NDP deserved a second term. 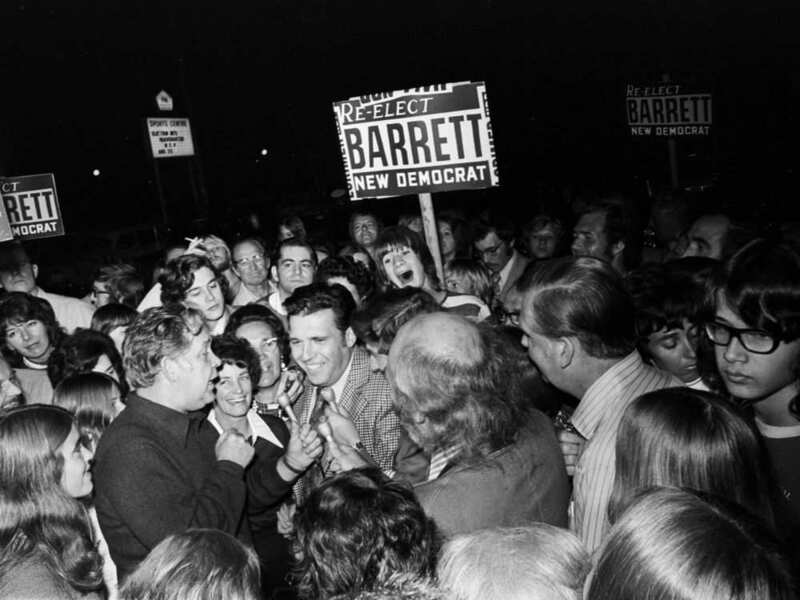 This time, Social Credit, under Bill Bennett, had united the right, whose fracture in 1972 provided Barrett with his large majority. And what a “right” it was. That thought of another “socialist” government caused mouths to foam. Hysteria and nastiness were afoot in the land. When, alone among B.C. newspapers, the Victoria Times endorsed the NDP, advertisers pulled their ads. Editor George Oake had garbage dumped on his lawn. Angry readers phoned him at home. One vowed to kill him. Another promised to make sure Oake was sent back to Russia. When his wife Lorraine answered the phone, she was told she was “dirty” and did not raise her children properly. Fernie alderman Gus Boersma announced he was going to run for the B.C. Conservatives. A dozen local businessmen and clients warned him his insurance business would suffer, if he hurt Socred chances in the riding. Boersma withdrew. “There’s a fear campaign going on,” he told a reporter. Another Conservative hopeful in Prince George, Alan Anderton, received threatening phone calls from people he identified as “right-wing extremists”, who ordered him to quit. As other Tory candidates dropped out, party leader Scott Wallace became furious. “Those people on the right screaming about the socialists having taken away individual freedom seem to be doing a pretty good job of it themselves, when they have the vindictiveness to blackmail you in the survival of your business,” he raged. A government employee was punched and bodily evicted from a Social Credit rally, when he tried to yell a question at Bill Bennett. A meeting in Nanaimo was called off, after a telephoned bomb threat. At an all-party gathering in Steveston, non-Social Credit candidates were shouted down by a jeering mob that took up all the front rows. A confidential federal government telex on the fate of B.C. Rail was stolen from an official’s briefcase. The telex wound up in the hands of Bill Bennett, who revealed its contents at a raucous Social Credit election rally. Sensing he was going down to defeat, Barrett wound up his fiery campaign with a heartfelt plea to the people: “I have one last message. This land is your land…We must never go back.” The Social Credit campaign ended at the PNE, with MLA Bob McClelland riding in on an elephant. Some of the hysteria carried over into the counting of ballots. A group of Social Credit scrutineers stormed into one of the tally rooms, demanding to put their own seals on the ballot boxes. When that was refused, they overturned tables before charging out, leaving behind broken glass and beer bottles. A returning officer at another riding was also harassed on election night. “It makes be boiling mad,” chief electoral officer Ken Morton told reporters the next day. Arguably the most exciting government in Canadian history was out, done in by doing too much too fast, gaffes and unsettling the powers and shakers of British Columbia in a way they had never been rattled before. But the unsurpassed legacy of the Barrett government’s brief time in office is with us still. I itemized what they did during their scant 39 months for my book with Geoff Meggs on the Barrett years, The Art of the Impossible. 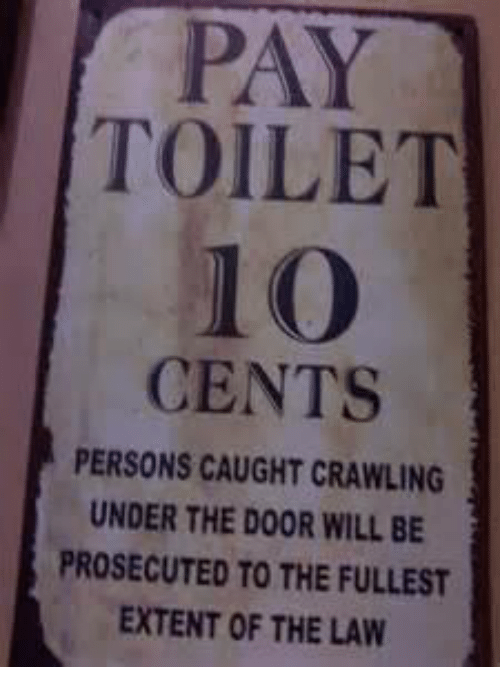 The total came to 97. No government ever did so much in such a short period of time. 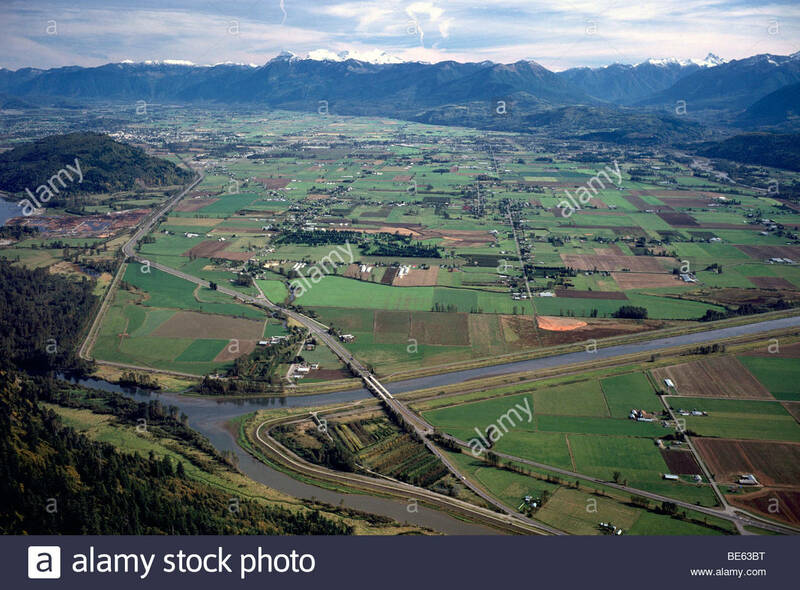 The Agricultural Land Reserve, ICBC, the most progressive labour code in North America, the best consumer protection legislation in Canada, the most far-reaching human rights code anywhere, with full-time human rights officers, rent controls, a Rentalsman, Mincome, Pharmacare, raising the minimum wage by 67 per cent, neighbourhood pubs, provincial ambulance service, the Islands Trust, independent boards of review for WCB appeals, Robson Square, preserving Cypress Bowl, B.C. Day, removing the sales tax from books, community health centres, B.C. Cancer Control Agency, buying Shaughnessy Hospital which became B.C. 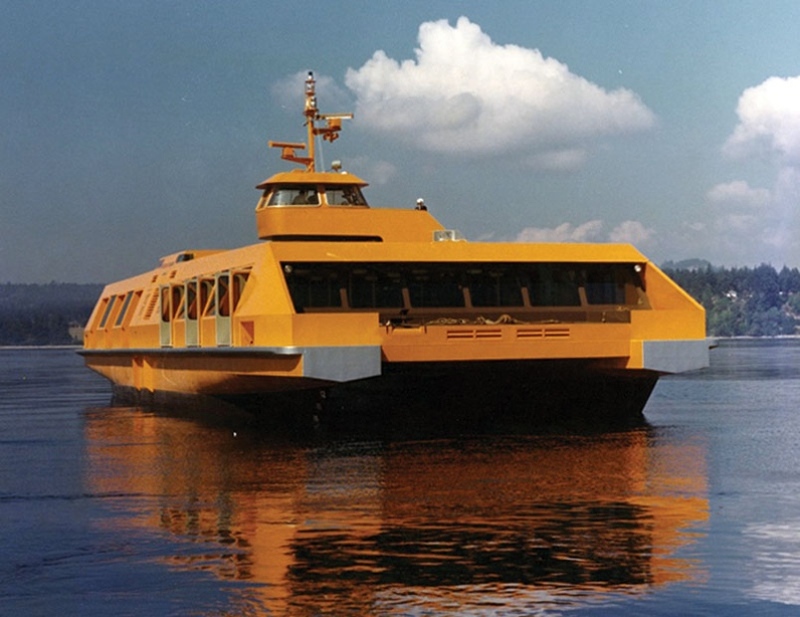 Children’s Hospital, the SeaBus, banning the strap, scrapping a proposed coal port at Squamish, the Royal Hudson and Princess Marguerite, saving Victoria Harbour from development, the B.C. Energy Commission, purchase of Columbia Cellulose and Ocean Falls pulp mills, providing full bargaining rights to provincial government employees, an end to pay toilets, to the relief of all, and on and on. The Dave Barrett government (1972-1975), RIP.